20% of the materials contain recycled content by overall material value. 35% reduction in water consumption compared to code-maximum fixtures. 88% of construction waste was diverted from landfills through recycling and salvaging. 53% of the materials were manufactured within 500 miles of the project, by overall material value. 100% of the composite wood in the project is urea-formaldehyde free. 91% of regularly occupied areas have access to exterior views. 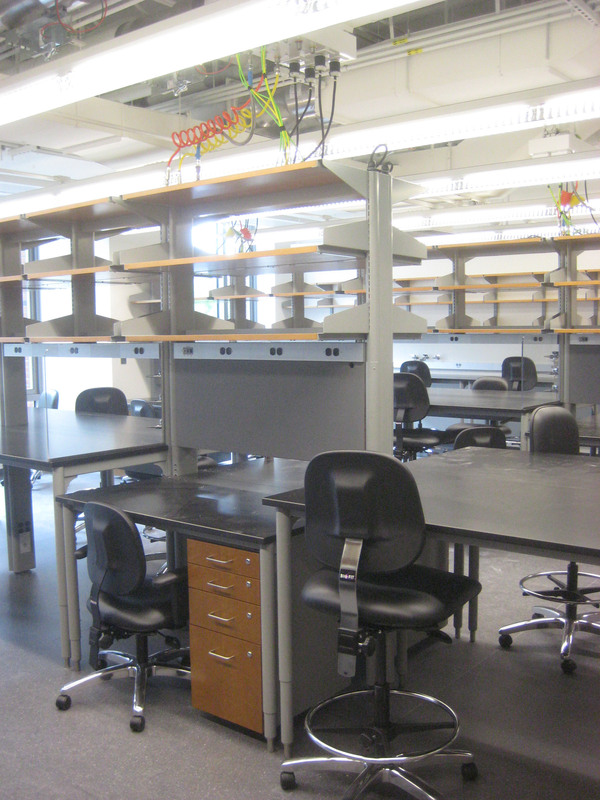 The Harvard Faculty of Arts and Sciences’ (FAS) Biophysics Laboratories and the Laboratory for Particle Physics and Cosmology (LPPC) in Harvard’s Northwest Building was a fit-out of approximately 6,700 square feet of unoccupied shell space on level 2 North in 2009. 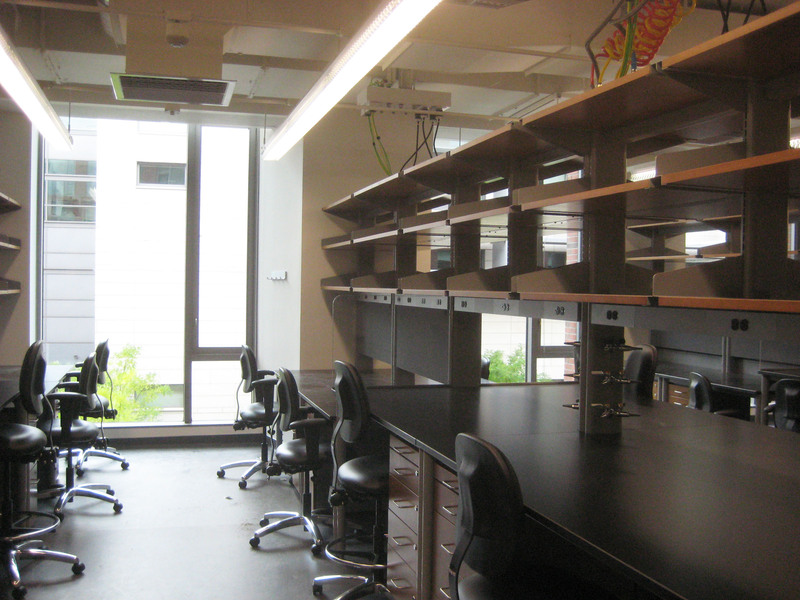 The project meant creating spaces for three distinct labs: The Levine Lab for RNA research, led by Professor Erel Levine, the Samuel Lab with Professor Aravinthan Samuel, concentrating on the study of C. elegans (worms) and Drosophilia (flies), and finally the Strominger Lab, where Professor Jack Strominger is focused on Biochemistry. The base building, Northwest Labs, and early phase fit-outs had not pursued LEED certification, and Harvard challenged the design team to attain a LEED-CI Silver or higher certification for the project. This is part of Harvard’s goal of reducing greenhouse has emissions 30% below 2006 levels by 2016, inclusive of growth. FAS and the project team were committed to sustainability throughout the duration of the project. In addition to making key decisions involving the mechanical and electrical systems, the team played an important role in furniture and material selection. 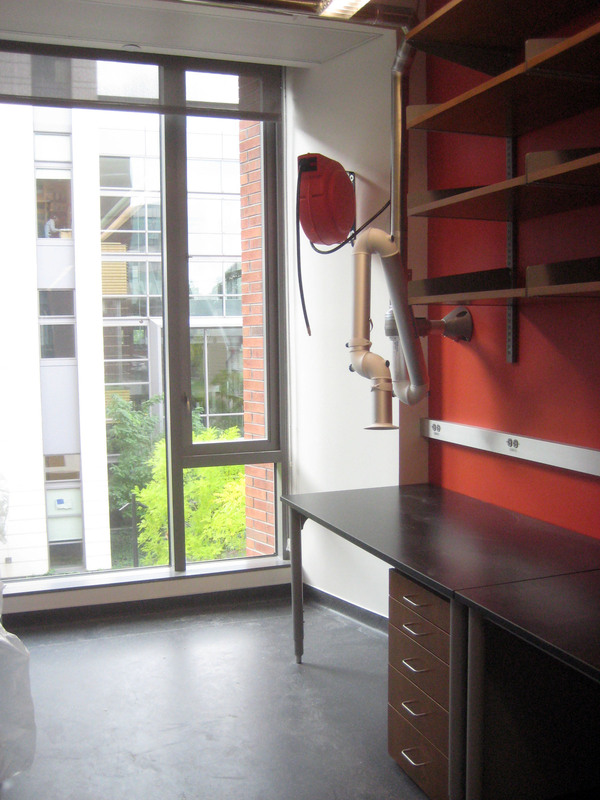 For instance, rather than purchasing all new items, several pieces of casework and equipment were reused from the existing Strominger Lab. This dedication to sustainable design ultimately allowed the Biophysics Lab project to achieve a LEED Gold Certification under the LEED for Commercial Interiors (LEED-CI) version 2.0 rating system.